The Le Fontainebleau Room at the Westgate Hotel. 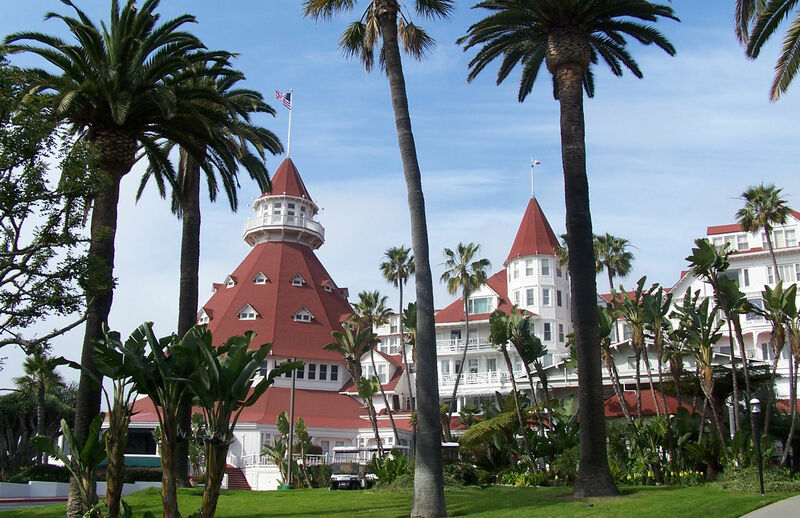 The most American of holidays is all about family and food, and San Diego offers countless options for celebrating Thanksgiving 2017. Here are 10 ideas for a memorable holiday. 1. Continental Elegance at the Westgate in Downtown San Diego — The landmark Westgate Hotel across from City Hall is offering both a four-course dinner in its Westgate Room and a holiday buffet with live music in the luxurious Fontainebleau Room. The prix fixe dinner is $69 for adults while the buffet is $89. Children aged 4 to 12 are $40 in either room. Bottomless Prosecco and Champagne are available. Seatings start at 11 a.m., but space is limited and reservations are recommended. 2. Playful Tradition at Jsix in The East Village — The trendy Jsix restaurant is offering a three-course, family style dinner for $45. Chef Anthony Sinsay’s playful take on traditional Thanksgiving items includes pumpkin lobster bisque, citrus roasted turkey breast, bacon & apple stuffing and cranberry vanilla cake. Children aged 10 and under eat free. Reservations are recommended but not required. 3. Marina Kitchen’s Farm-to-table Thanksgiving Buffet — Chef Aron Schwartz at the Marina Kitchen is planning a locally-sourced Thanksgiving buffet dinner, offering classic American fare with a modern twist. The menu features farm roasted root vegetables, herb roasted free-range turkey, Mexican bay scallop chowder, pumpkin pies and bread pudding laced with bourbon. The restaurant at the San Diego Marriott Marquis overlooks the marina and bay. The menu is priced at $48 for adults and $12.99 for children 12 and under. The Decoy Dockside restaurant on Lake San Marcos. 4. 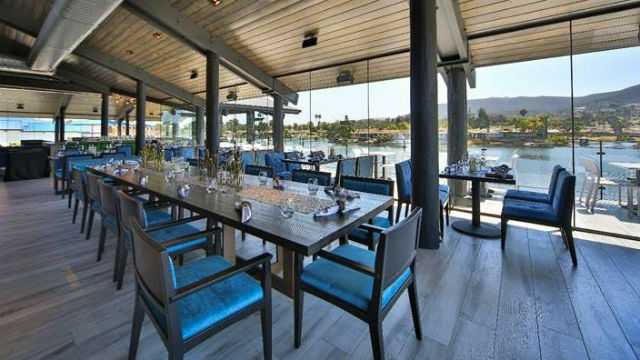 Dockside Holiday Dining on Lake San Marcos — The newly renovated Decoy Dockside restaurant on picturesque Lake San Marcos is preparing a lavish Thanksgiving buffet with all the traditional trimmings. The feast lasts from 10 a.m. to 6 p.m. and costs $55 for adults and $19 for children. Reservations are recommended. 5. Shop for Your Thanksgiving Dinner at Liberty Public Market — Nearly 30 artisan food tenants are planning take-home feasts for Thanksgiving. Options include free-range turkeys, gourmet pies, pumpkin pasta, candied yams, wine pairings, sides and more. Some selections require advance orders, while others can be picked up at any time. The Liberty Public Market in Pt. Loma is open from 11 a.m. to 8 p.m. daily before Thanksgiving. 6. California Modern Thanksgiving at Bellamy’s in Downtown Escondido — Bellamy’s will offer a three-course Thanksgiving feast prepared by Executive Chef Jonathan Freyburg. The menu features classic Thanksgiving dishes including turkey and herb stuffing, as well as specialty dishes including house-made basil pappardelle, seafood bouillabaisse and a grilled king beef ribeye. Thanksgiving dinner at the Escondido restaurant is $50 per person with children’s options available. 7. 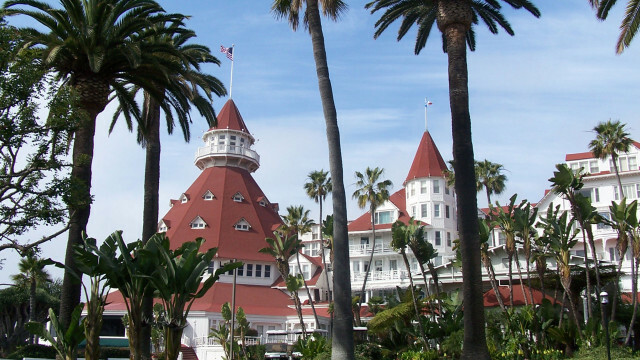 Thanksgiving on The Pacific at Hotel del Coronado — Any list of Thanksgiving options in San Diego would be incomplete without mentioning the legendary Hotel del Coronado. The annual holiday buffet begins at noon in the iconic Crown Room and oceanfront ballroom. Selections include lobster and crab mac & cheese, Pacific Northwest oysters with pomegranate mignonette, cherry glazed ham and duck confit, as well as traditional roasted turkey, green beans, rainbow carrots and candied sweet potatoes. The feast is $125 for adults and $45 for children aged 6 ot 10 in the Crown Room and $110 and $43 in the ballroom. 8. A French Perspective at Blue Bohème in Kensington — This French-inspired eatery promises you will “gobble until you wobble” with a three-course meal on Thanksgiving. 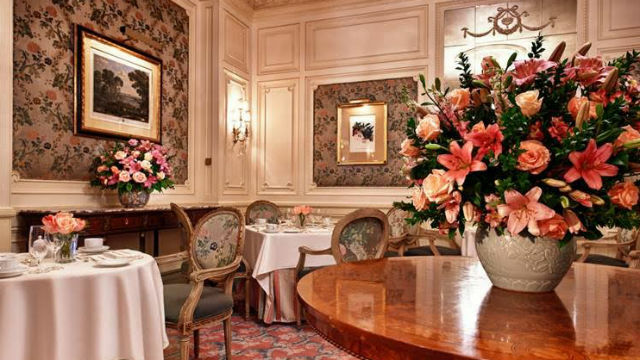 Among the menu choices are soupe de citrouille, pork terrine de campagne, Diestel Family Ranch turkey, boeuf au Roquefort, saumon avec la sauce de homard and five different deserts. The feast is $59.95 for adults, and a children’s menu is available for $19.95. Blue Bohème in Kensington will be open noon to 8 p.m. on Thanksgiving. 9. South Bay Thanksgiving in Imperial Beach — The SEA180° restaurant on the Pacific Ocean in Imperial Beach is planning a Thanksgiving buffet from 11 a.m. to 8 p.m. Choices on the menu include fresh shucked oysters, chili rubbed prime rib and pumpkin pie brûlée. The price is $59.95 for adults and $16.95 for children. 10. Call for Your Thanksgiving Dinner Delivery — Giuseppe Restaurants & Fine Catering in La Jolla is offering complete Thanksgiving dinners via its Pronto Delivery Service. Choices include appetizers such as Sonoma apple chicken sausage puff pastries and spiced butternut squash soup, and a main course of oven roasted turkey with roasted root vegetables, cranberry walnut bread and pumpkin pie.